Located in the SinimÃƒÂ¤ki area of Espoo city between Turku motorway and SinimÃƒÂ¤entie Rd. Area is one of the most important ICT technological districts in Espoo. 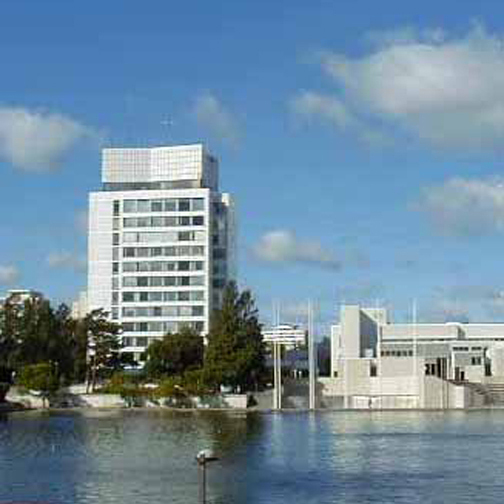 Located in the Tapiola district of Espoo city, in the Keskustorni Central Tower of the Tapiola business area. Excellent access by car or bus. Located in the PiispanmÃƒÂ¤ki district of Espoo city, between LÃƒÂ¤nsivÃƒÂ¤ylÃƒÂ¤ motorway and KuitinmÃƒÂ¤entie road, about ten minute drive from the heart of Espoo. 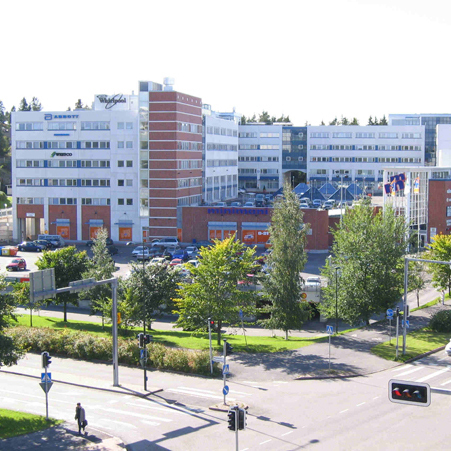 Located in the LeppÃƒÂ¤vaara district of the Espoo City, about 1 km from the centre. LeppÃƒÂ¤vaara commuter train station and bus stations are nearby. Located in the SinimÃƒÂ¤ki district of Espoo city, in the immediate vicinity of the intersection of Tarvontie and Kauniaistentie roads. Business Center SinimÃƒÂ¤ki is easily accessible. Close by is the motorway between Turku and Helsinki as well as Rongroads l and ll. Vesiputoustalo is located right in the heart of Tapiola business area. The property was been built in 1985. Easily accessible by car and public transportation. Excellent public transportation connections to different parts of the Helsinki region. Ring roads provide an easy access to motorways and to the Airport. Situated on Mannerheimintie street, our centre is easily reached by bus or tram and within walking distance to the city centre. Located in the Ruoholahti district in Helsinki city center, near the Ruoholahti underground station. Excellent access by bus, tram or underground. Nearby the junction of several highways, Pasilan Visio is steps sway to excellent modes of public transportation which will get you to and from work. Located in the LÃƒÂ¤nsi-Pasila district of the Helsinki city, close by the Sokos Hotel Pasila and Pasila railway station. Public transportation available nearby. The property is located by ItÃƒÂ¤vÃƒÂ¤ylÃƒÂ¤ opposite to the ItÃƒÂ¤keskus shopping center. Business Center Aleksi is situated in Helsinki City center in Aleksanterinkatu. The 6th floor premises are renovated to meet modern standards. 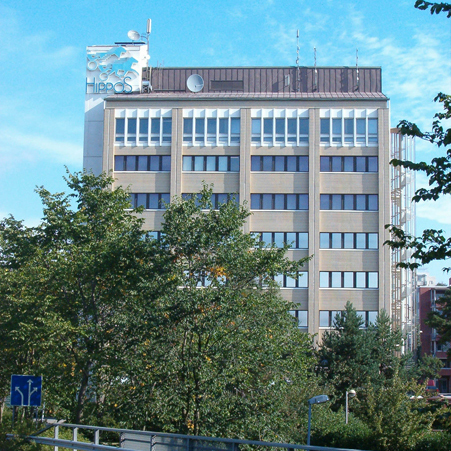 Business Center Mannerheiminkatu is conveniently located next to Lahti's railway station, opposite to courthouse. A modern office building near the centre of Tampere, in the middle of the strongly developing HatanpÃƒÂ¤ÃƒÂ¤ area. It is easy accessible by car and bus. Located in the Tampere city center, near the central railway station. Excellent accessibility by car and public transportation. Located in the Tampere city center, at the nostalgic and culturally significant Finlayson area, on the edge of the Tammerkoski River. Located in the immediate vicinity of Kupittaa railway station and Turku-Helsinki motorway, only a couple of kilometres from Turku city centre. Located in the Turku centre, at Yliopistonkatu Street. Excellently accessible by car and public transportation. Located in Turku center, within easy access by car or public transportation. The offices are situated in the previous hotel Rivoli premises. Located in the Pakkala district of the Vantaa city, close to the junction point of the KehÃƒÂ¤ III Ringroad and Lentoasemantie Road. KehÃƒÂ¤mylly is located at the junction point of the Ringroad III and HÃƒÂ¤meenlinna Motorway. The location is excellent and easily accessible.